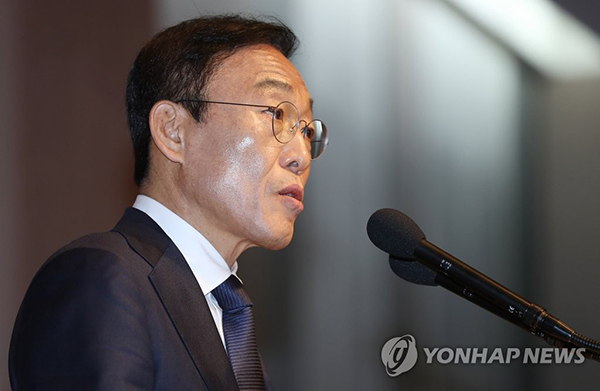 Samsung Electronics Vice Chairman Kim Ki-nam is shown in this file photo taken Nov. 23, 2018 . The South Korean tech giant said the decision was based on Kim's leadership and the major contributions he made to the company's chip business. Kim will continue to lead the Samsung Advanced Institute of Technology as well. The chip business of the device solutions division saw its operating profit reach 13.65 trillion won (US$12.2 billion) in the July-September period, up 37 percent from the 9.96 trillion won posted in the same period last year, setting a new record.